Getting their start in the state where everything’s bigger—Texas—Addison Roadfrontwoman Jenny Chisolm met her eventual bandmate (and future husband) Ryan Simmons while attending Baylor University in Waco. After writing songs together and booking a few gigs, the duo eventually recruited a full band and recorded a rough, four-song sample for the band they originally named the Jenny Chisolm Band. Then in 2001, the band decided to take their music career a step further and eventually teamed up with By the Tree’s frontman Chuck Dennie, who produced the group’s full-length independent debut, Not What You Think. A year later, Jenny and Ryan were married and moved to Dallas to pursue music full-time. 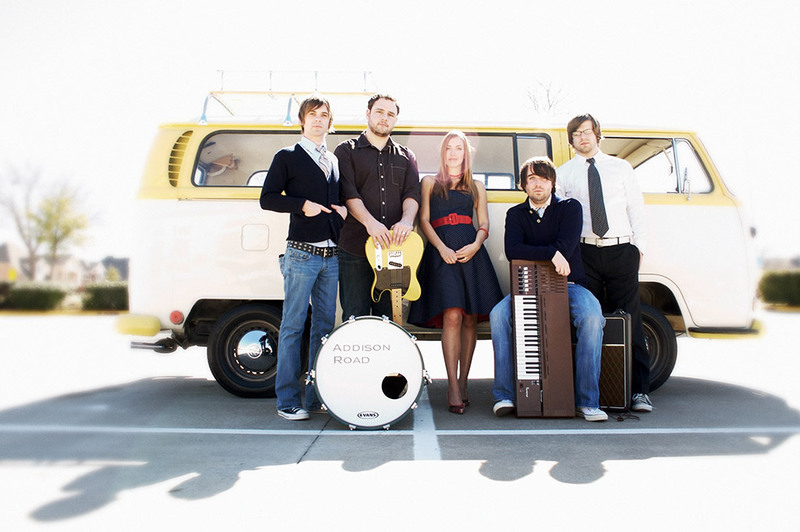 Eventually coming up with the name Addison Road, a phrase with no particular significance other than they liked how it sounded, the group released a second independent album and began leading worship at Richardson First Baptist Church. While leading worship in front of 8,000 young people at a summer event, the praise-oriented direction for Always Loved You, was born. Eventually signing a record deal in 2007, the band’s self-titled debut was released later that year. Featuring radio favorites “All That Matters” and “Sticking With You,” some of the most-played tracks of 2008, the band played countless shows, including “Rock and Worship Road Show” in the spring of 2009 while Jenny was pregnant with her first daughter, Anniston Cate, who was born on April 15. While on tour with Sanctus Real in 2010, Addison Road’s tour bus caught fire and burned to the ground. While no one was hurt, the band lost all their gear, instruments and merchandise, not to mention Anniston’s clothes and toys, in the blaze. Thankfully, due to the prayers and generosity of the band’s fan base, a slew of donations have come in to help the band get back on its feet. Now motivated more than ever before by that outpouring of support, the band is continuing to write new songs and tour. In the midst of being new parents, Jenny, Ryan and their band were recently in the studio to record Addison Road’s much-anticipated second album, Stories, that was released in June 2010.